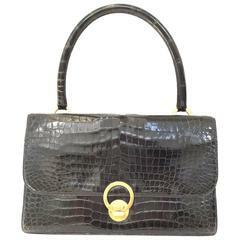 Hermes Vintage Brown Kelly Croco 32. Architectural Large Mod Double Handle Tapestry Bag SPRING! Hermès Kelly 32 sellier vintage bag in brown crocodile, gold hardware ! 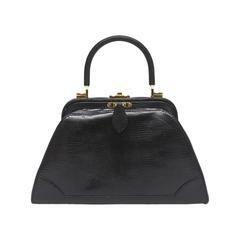 Handbag Chanel 2.55 in Black lambskin Leather !